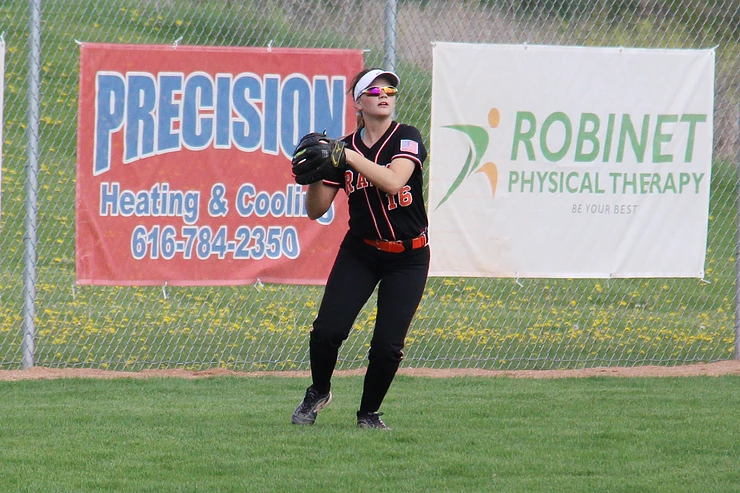 The Rockford varsity softball team played host to OK Red foe, the Hudsonville Eagles, Thursday, May 17. The Rams came away on the wrong end of a 5-inning 17-0 mercy. The Rams had some difficulty in the field, committing six errors to help the Eagle’s cause. Hudsonville plated two runs in the first inning and never looked back, scoring six in the second, two runs in the third, and one in the fourth. The Eagles put an exclamation point on their win in the fifth inning, scoring six runs. The Rams were able to tally three hits as a team, with Lily Guerra, Madison McCann, and Katie Lawton each notching a hit apiece for Rockford. Hudsonville was able to plate 17 runs on 15 hits, and left six runners on base. Ram pitcher Jenna Davis suffered the loss in the circle.